Perfection on Parker. 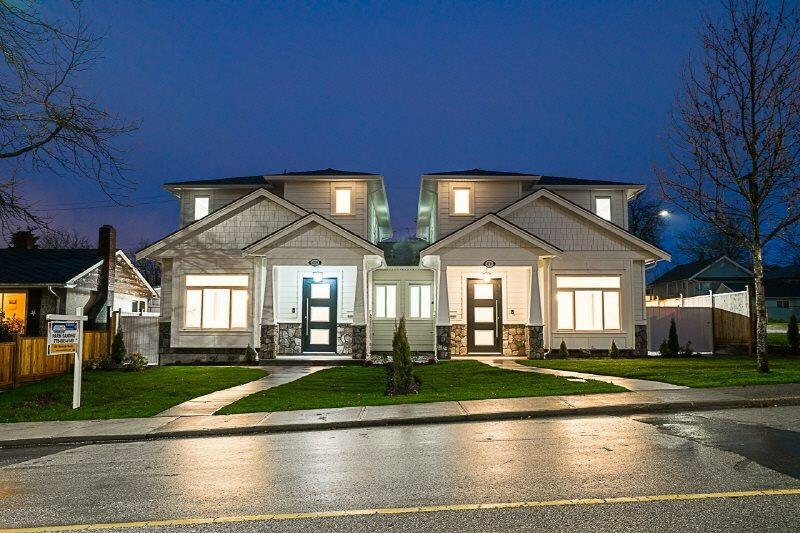 This 5 BEDROOM ½ duplex is centrally located just mins from Brentwood town centre, the social heart of Burnaby. Walk in to your thoughtfully designed living and dining area complete with a cozy fireplace and bay window seating an excellent space for entertaining family and friends. Just past, the kitchen with custom backsplash, stainless steal appliances, undermount sinks, family room and large nook finish off the first floor. The potential for a 1 bdrm suite with private access is a bonus+ huge mortgage helper. Above at the end of the hall is the Master bdrm with a walk through closet and private spa like ensuite with double vanity. Next a private outdoor covered patio awaits year round family fun. 2 more large bdrms and a 4 piece bthrm complete this stunning home.